The holiday season is a time for friends, food, and family. Celebrations are about to happen, and your home plays host to everyone from coworkers to distant cousins. The season of giving is here, and getting your home ready and making room for the flood of visitors, gifts, and parties is an inevitable challenge. It’s important to be able to enjoy your holidays, instead of being overworked and overwhelmed by them. Keeping your house clean, tidy, and organized through it all is a challenge for anybody: try taking the stress out of the equation by letting the Sirna Bros. take care of all that junk removal to make room for your guests. Are you expecting guests at your home this holiday season? Now is the perfect time to clear the clutter out of your home. That spare room that has filled up with old newspapers, junk mail, furniture, books, and whatever else you decided that you might want to hold on to, is the perfect place to start cleaning out for your holiday visitors. For many, however, just getting started can be intimidating, especially if you have been piling up stuff in that room for months, or even worse, years! At Sirna Bros., we recommend keeping it simple. Start by grabbing some boxes and designating them for recycling, throwing away, and donating. Then, set up bins for what you are keeping and organize them- books, electronics, linens, etc. Once everything is sorted, decide what is going to stay in the room and what should be stored in other areas of your home. For the items that are going to be donated, make sure you take them straight to your car or call a charity to pick them up right away. Don’t just leave the items in the house; they might end up sitting there forever! Don’t forget about organizing the guest room closet. Leave enough space for some of your items to be stored and for your guests to hang their things. The easiest way to start is to empty out the closet, completely. Keep only the items in there that need to be in that area of the house, leaving room for your guest’s clothes too. Last, make sure your guests have enough space in the room. There’s nothing more awkward than trying to move around your collection of bicycles, Lazyboys, and a couple of dressers. Plan ahead for your guests, and choose items you can get rid of before they arrive. 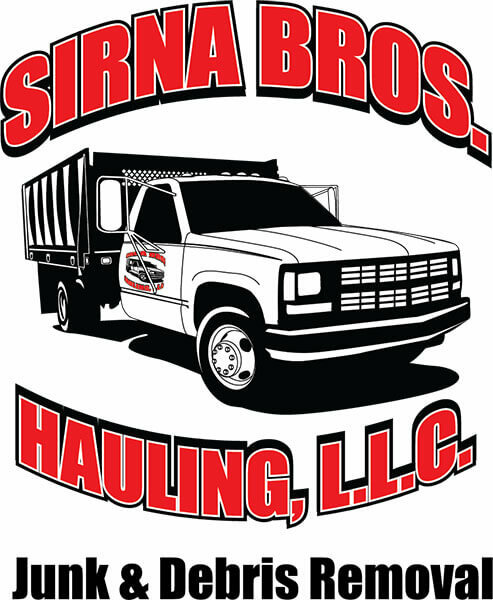 If your items are in good shape donate them or give the Sirna Bros. a call! The broken dresser and mattress with broken box springs is a fantastic reason to call us for pickup. Don’t worry- we always go through what you give us and see how we can donate or recycle it first. The holiday season is a great time to enjoy the people you love, from close friends to distant family. Hosting parties and having out-of-town guests is a wonderful way to enjoy the season. To keep your house tidy and keep you stress-free, planning for the holiday excess in advance will make a world of difference. By tidying up as you go, reusing what you can, and hiring the Sirna Bros. professional hauling teams to deal with the piles of junk you inevitably find yourself with, you can make sure your holiday, and the days that follow, are stress-free. Reclaim that space and make it available for your guests. It’s just one call away.